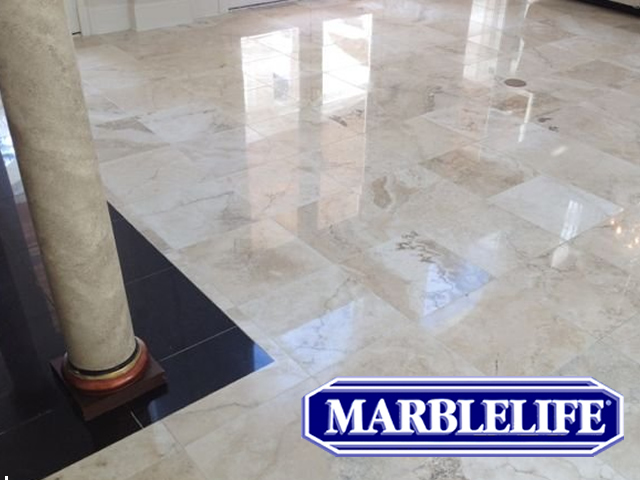 MARBLELIFE® Of The Great Plains is THE ANSWER to your marble and natural stone maintenance and restoration needs. MARBLELIFE® developed its core stone restoration technologies, cleaning chemicals and processes more than 20 years ago. Refinements, and continued optimization and service expansion has resulted in MARBLELIFE® becoming the largest stone and grout restoration company in the country with more craftsman and more experience and more offices than anyone else. Extensive ongoing training enables MARBLELIFE® to confidently state you will be thrilled with our results.